Woodcuts from Wonderland: John Tenniel’s Illustrations for Alice in Wonderland and Through the Looking-Glass. 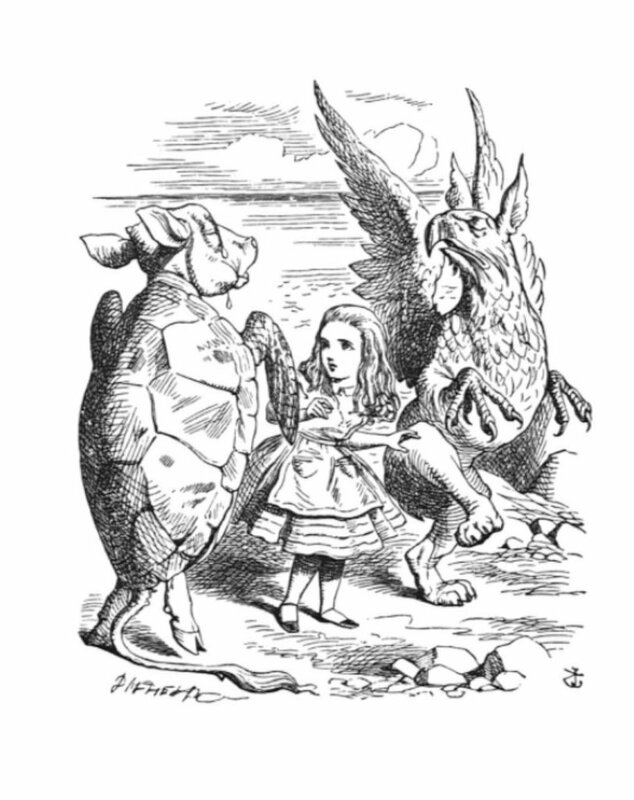 Capital Culture gallery is delighted to present a show of John Tenniel’s whimsical and nostalgic original wood engravings for Lewis Carroll’s incomparable stories: Alice’s Adventures in Wonderland (1865) and Through the Looking-Glass and What Alice Found There (1871). In 1981, after being presumed lost for decades, the original wood blocks from the nineteenth century were rediscovered unexpectedly in the books’ publisher’s old bank vault. The prints on display at Capital Culture gallery were made from these original wood blocks—now in the British Library’s collection—in 1988. Tenniel’s clear and detailed style lends itself well to such iconic and fanciful tales. His experience creating political cartoons and caricatures for Punch magazine is implicit in his exaggerated and imaginative style. Carroll himself directly guided Tenniel in the depiction of each character, and Tenniel’s images have endured for a century and a half, becoming the inspiring basis for countless reproductions and adaptations of Carroll’s stories. We look forward to seeing friends old and new. During our exhibition opening hours there will be a trail activity for families to complete.